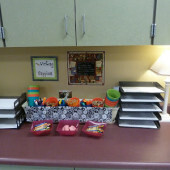 If you read my last post about my writing center, you know I am trying to build a bank of meaningful center activities that allow students to practice concepts directly related to our standards taught in writer’s workshop, reading, and language arts! 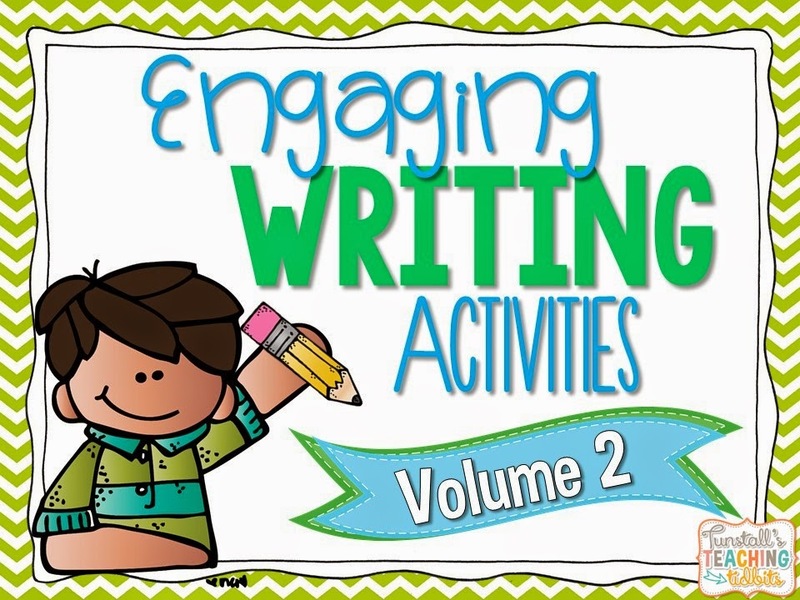 I just wrapped up the second set of activities to do just that! 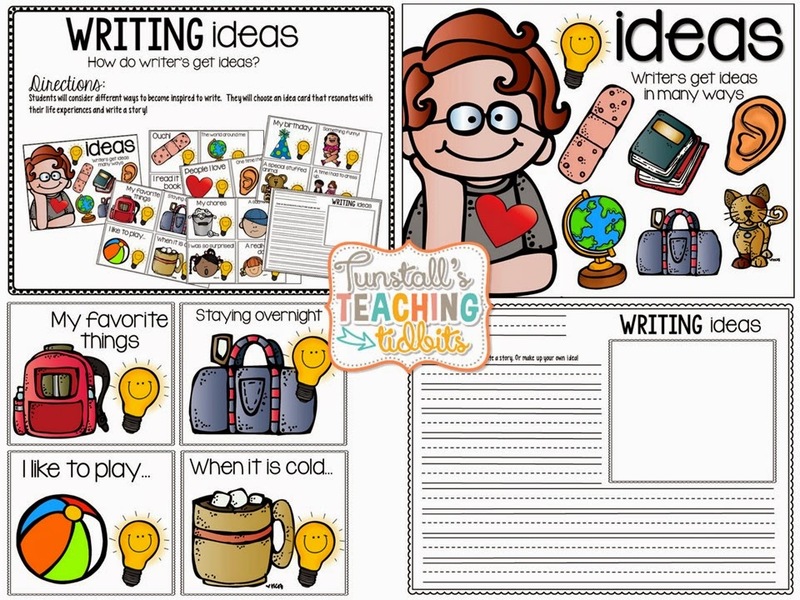 These concepts are going to be perfect for my little budding readers and writers! First up, is it a sentence or a phrase? I don’t know about you, but my little ones need a lot of practice distinguishing between the two! 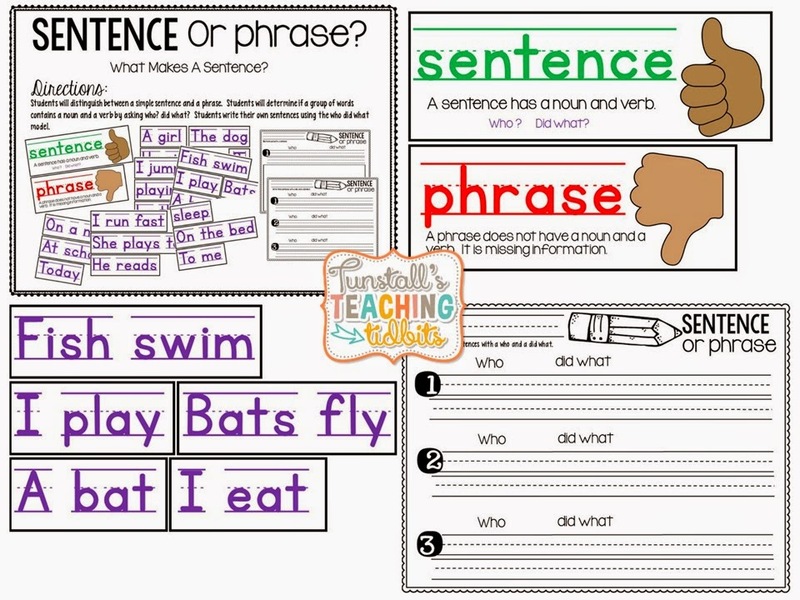 This center keeps it simple but allows a clear understanding of the components of a sentence. Plus it is building a solid foundation for nouns and verbs at the same time! The age old issue of capital letters… We will put a CAP on capitals with this center! 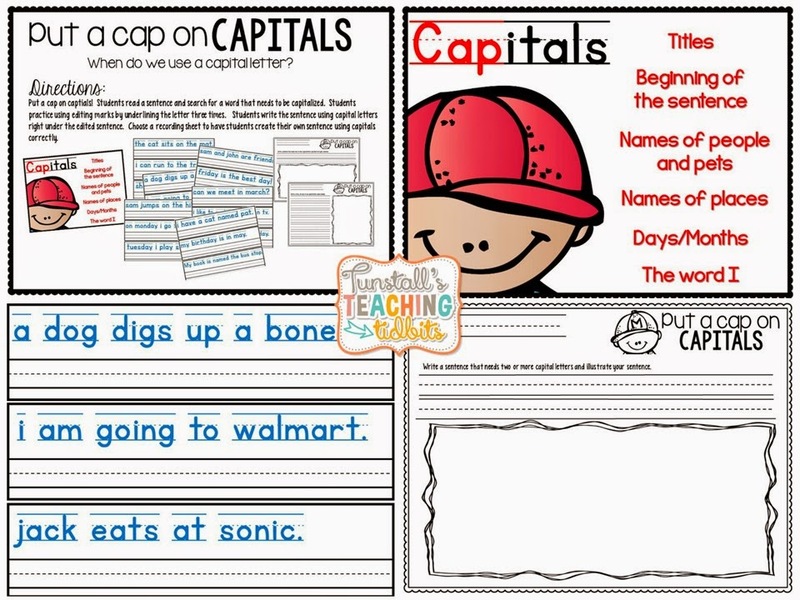 Students will practice editing marks and rewriting with proper use of captials! They will also write their own sentences using capitals correctly! 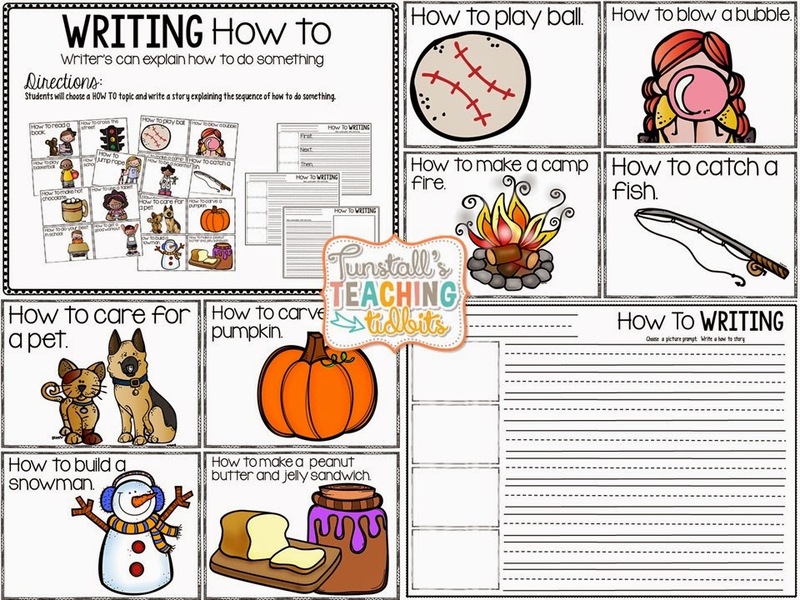 It is not easy for beginning writers to remember capitals, periods, and complete sentences! 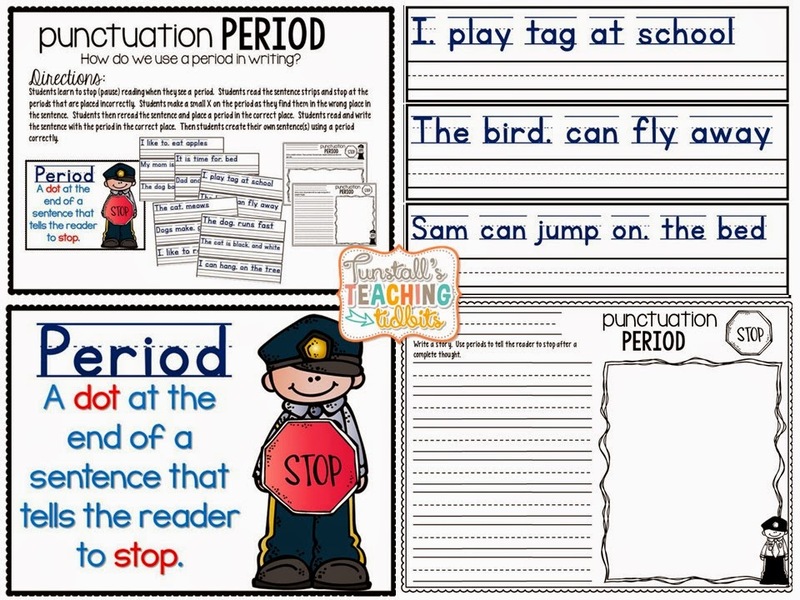 This fun center lets students practice dramatically stopping at incorrectly placed periods! Then students use editing marks to cross out and move the period to the correct position. We also explore more punctuation and the meaning behind it! 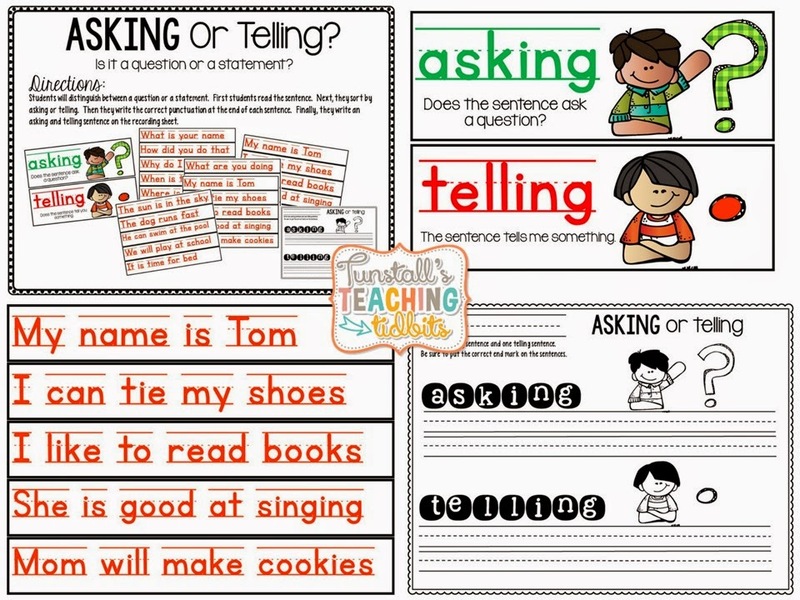 Students will distinguish between asking and telling and then will place the correct punctuation for each! 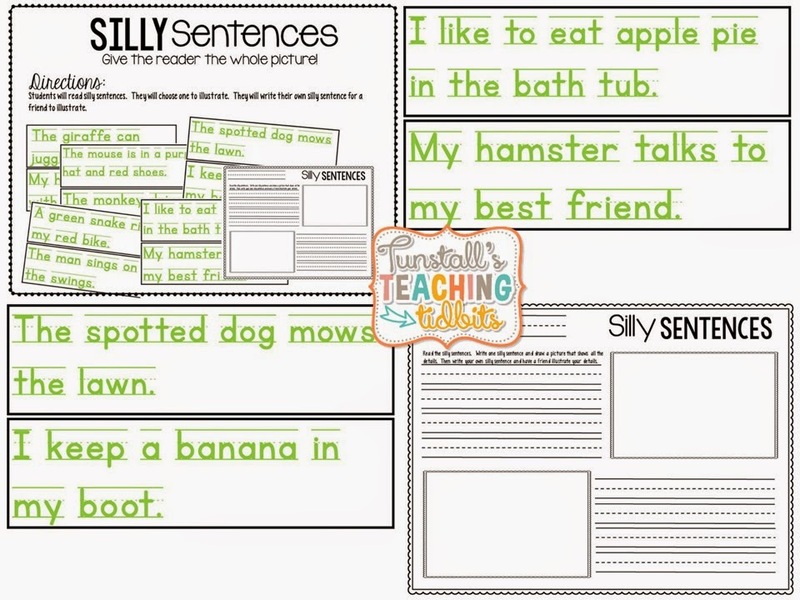 This center allows for some practice with rhyming words while also making short poems or silly sentences! 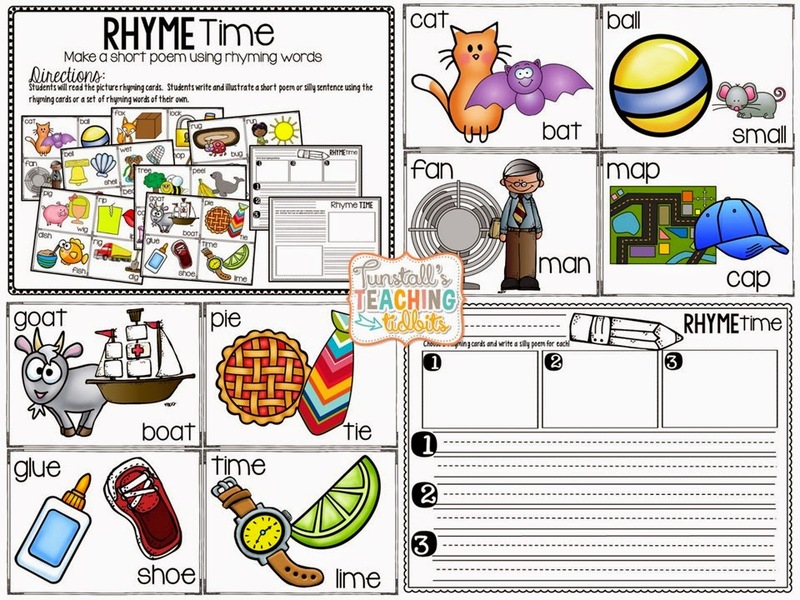 Students will read many different rhyme combinations and then choose the ones that appeal to them most! 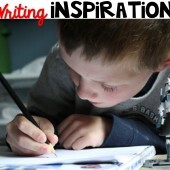 How do writers get ideas? 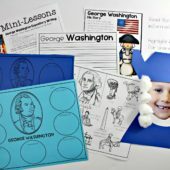 This center will help spark new ideas as well as remind students to always be thinking about what makes a great story! Using details and adding adjectives will be a concept we explore all year as we write! This is a beginning lesson on giving your reader the FULL PICTURE by adding many details! There’s something exciting about telling others how to do something…(or is that just a teacher thing?) 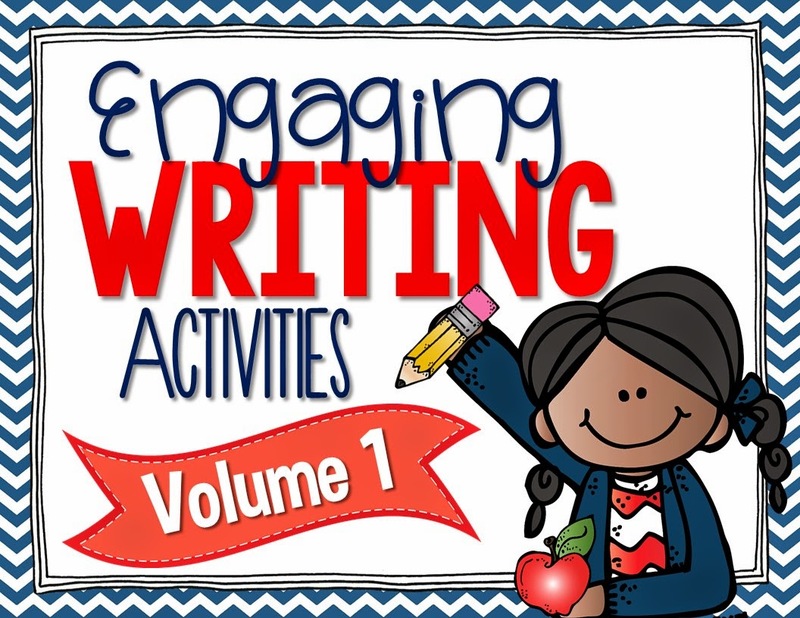 Students will get to share their expertise on a topic while also practicing how to writing, transitional words, and breaking information down into steps! If you like these activities you can click on the pictures below! Happy Writing! Your first pack has been on my wish list for weeks and now I come to find that you've added a second and they're both on sale?! I might have to do a little Sunday afternoon TPT splurge. 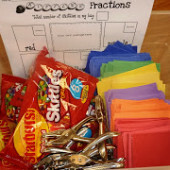 Love the idea behind these activities!